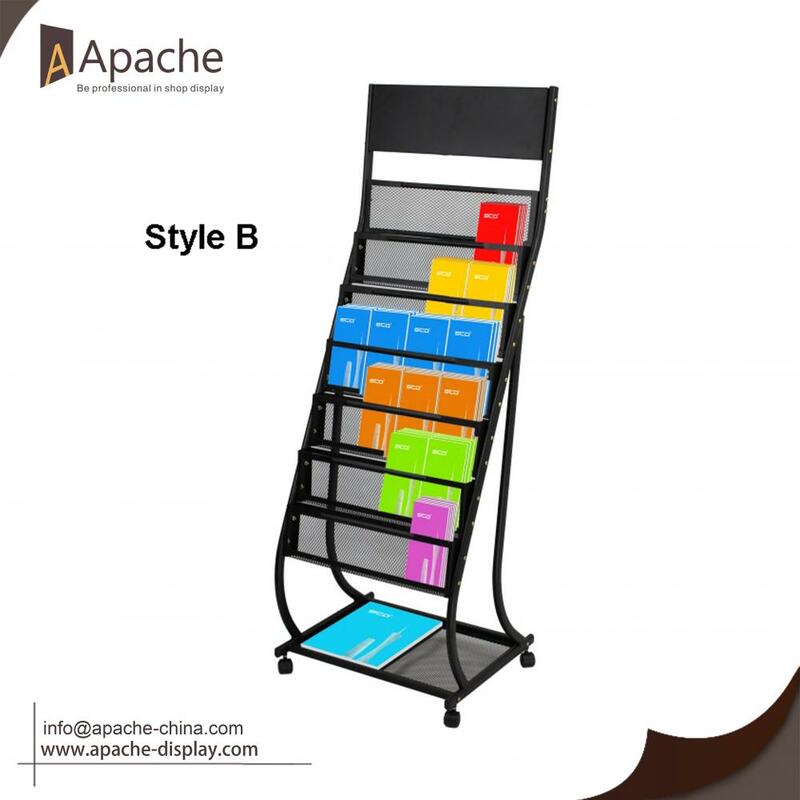 This Multi-Functional Moveable Newspaper Poster Display Stand can be used to store magazines,newspapers, promotional advertisng and product catalogue, can display in supermarket,retail store, etc. It is easy to move around with the casters, so can indoor or outdoor as you needed. There are three style which have differet function and size for your choice, pls feel free contact us if you are interest. If this three style can not satisfy your needs, pls also contact us, we have professional designer can design follow your requirement. At first, we will send drawing to you, then formal quotation will send to you after the drawing confirm. 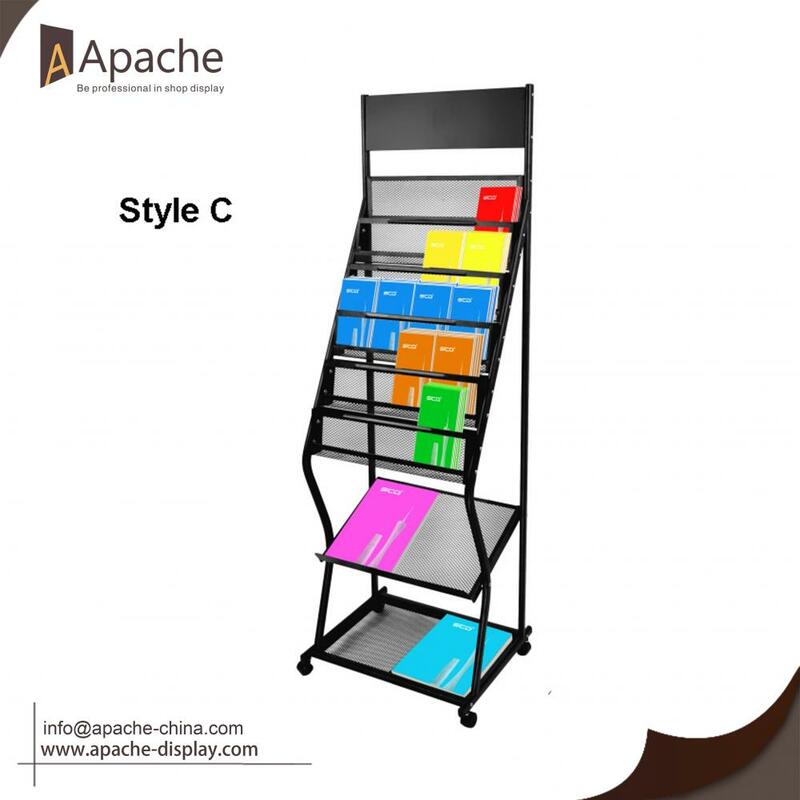 Looking for ideal Multi-Functional Newspaper Stand Manufacturer & supplier ? We have a wide selection at great prices to help you get creative. 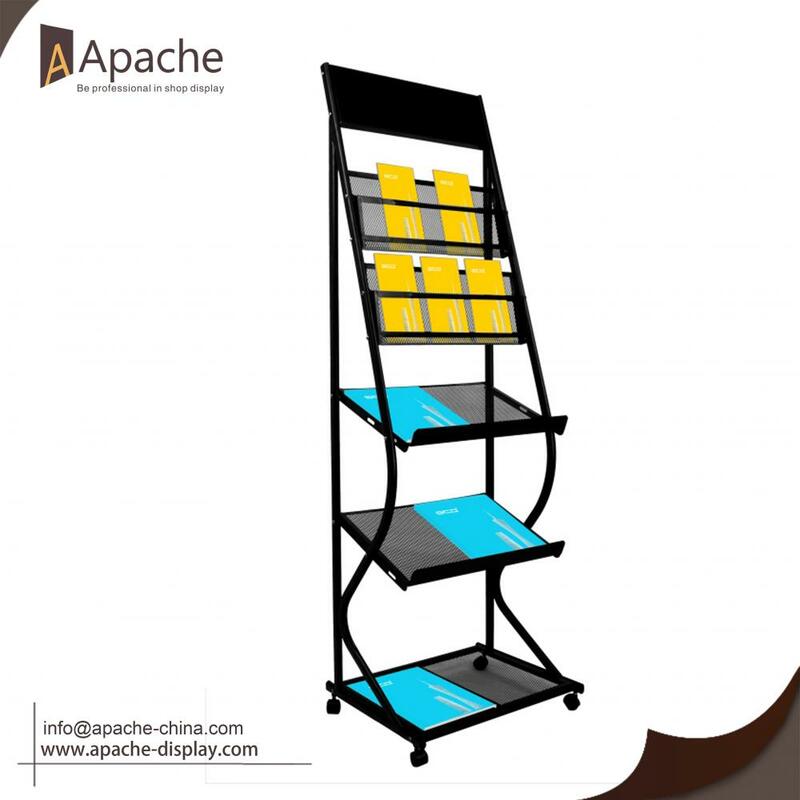 All the Metal Moveable Display Stand are quality guaranteed. 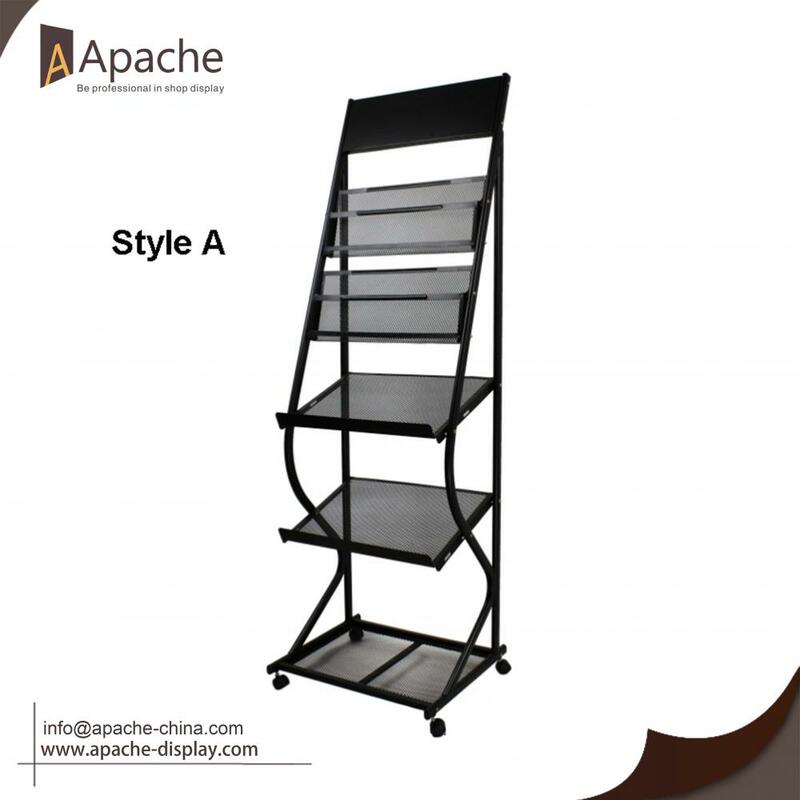 We are China Origin Factory of Newspaper Display with Shelf. If you have any question, please feel free to contact us.